If you are self-motivated, work well independently, and meet deadlines easily, then our flexible delivery of college courses using the latest technologies can put an associate’s degree at your fingertips. Welcome to the CCAC Online Catalog. 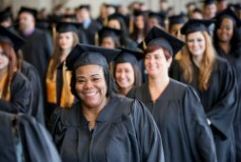 CCAC annually educates more than 30,000 credit students through almost 160 degree, certificate, diploma and transfer programs and offers thousands of students access to noncredit and workforce development courses. The learning-centered institution’s mission is to provide affordable access to quality education and offer a dynamic, diverse and supportive learning environment that prepares the region’s residents for academic, professional and personal success in our changing global society. CCAC’s quality programs enable students to transfer credits to nearly 500 colleges and universities and support regional workforce needs with accessible instruction available day, evening, weekend and online in Allegheny County and beyond. Visit ccac.edu to learn more. This catalog is a one-year publication containing revisions or additions that have occurred since the 2018–2019 edition. It is in effect for students who begin their studies or change their programs during or after fall 2019. Students currently enrolled at the Community College of Allegheny County may continue in their declared program or choose to change their program to one outlined in this catalog. See program requirements for more information. 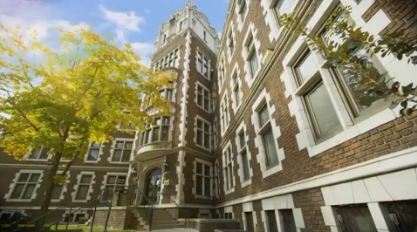 The Community College of Allegheny County is accredited by the Middle States Association of Colleges and Schools, 3624 Market Street, Philadelphia, PA 19104-2680, phone 215.662.5606. Health programs are separately accredited by appropriate regulatory agencies. The Community College of Allegheny County is a member of the Pittsburgh Council on Higher Education (PCHE). This catalog is published by the Community College of Allegheny County, 800 Allegheny Avenue, Pittsburgh, PA 15233. The college reserves the right to change information in the catalog. All catalogs © 2019 Community College of Allegheny . Powered by the Acalog™ Academic Catalog Management System™ (ACMS™).